In this article, I will configure a SIP Phone to connect to the Amazon AWS EC2 instance and make both inbound/outbound calls through a SIP Provider. I have configured the Asterisk to use Anveo as the SIP provider in Part 3 of the series. However, since then, I have added another provider, nexVortex and am using them exclusively at this time. Article on Implementing nexVortex to your Amazon AWS EC2 Asterisk IP PBX was outlined previously and so was Anveo implementation. For testing purposes, I will configure Grandstream’s GXV3140 Multimedia Phone and Grandstream GXV3175 Video Phone. Video support will also be enabled to test their video conferencing capabilities. As previously covered, enabling video is a simple process of adding the necessary codecs and one line to the [general] context in sip.conf file. The codec I have decided on was h264 which is supported by both Grandstream Video phones. 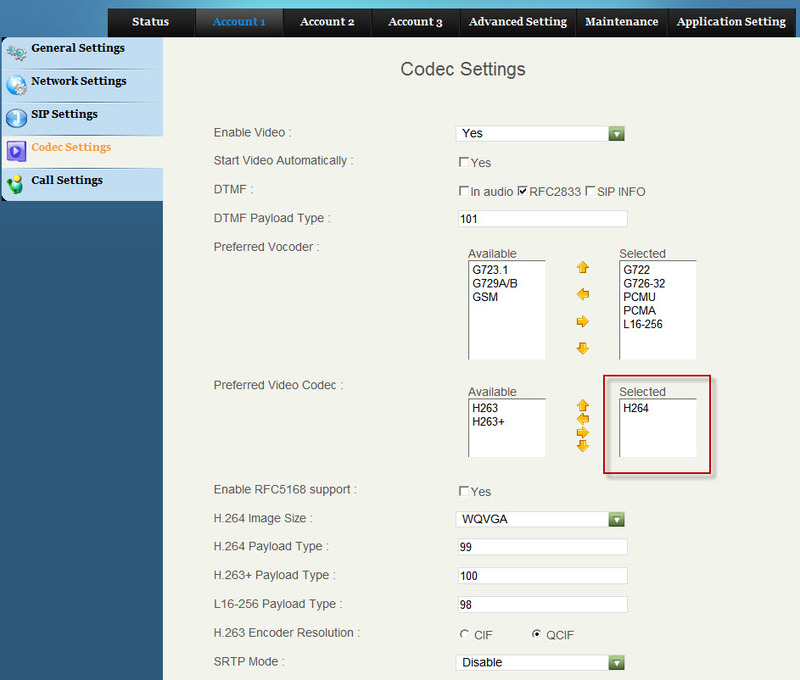 On the phone configuration side, you will have to enable the same codec being used by Asterisk. Once you have these settings in the Phone and you open up the necessary ports in your firewall, the SIP phone will connect to the Asterisk instance and show up as a sip peer in CLI. I was very impressed with the video quality when making video calls between GXV3140 and GXV3175 using Amazon AWS EC2 Asterisk IP PBX. As showsn below, the video was not choppy and was generally latency free. Even though the two Video Phones are next to each other, the data still has to traverse through my firewall and connect via Asterisk in the Cloud. Based on my experience, I have concluded that Amazon’s AWS EC2 cloud is more than capable of handling Asterisk calls for any Small Business VoIP implementation. I would like to know what your thoughts are on this Subject so I look forward to your comments on this site or via Social Media on Facebook and/or Twitter.